I’ve given Edgecomb pottery as wedding gifts in the past, but I haven’t yet invested in any myself. I did however buy a recycled license plate lobster at their Portland Store. It’s not pottery, but it’s pretty darn cute. It really has nothing to do with this blog post, but I wanted to share. Whale Tail Chowder Mug – 18 oz. Could you really only own just one of these adorable little mugs? They also have a taller, regular whale tail mug that I love, but there’s something about the shorter, squat one that really appeals to me. I envision sitting by the fireplace, mug in hand, enjoying a chowder or stew. The Dory. This handled server has such a fun shape. I love the narrow, long design and can picture it sitting in the center of my table adding a little color. It would also be great for passing out appetizers during a dinner party. Fish Plate. This has a Maine vibe to me when I look at it. It wouldn’t be for everyday, but on the right occasion I think it would add just the right touch of whimsy. I’m a little nervous about knocking the poor guys tail off, but so far my china has survived so hopefully I could care for this porcelain fish. Little Dipper. Maybe I’ll ease into the whole fish thing by going for this smaller companion piece to the fish plate. We do like our ice cream in Maine, and this little bowl would be perfect. It would also be great for serving dips hence the name. One of the main reasons that I haven’t invested in any Edgecomb pottery yet is that I’d have to finally decide on which glaze I like the best. I’ve never been able to pick. There are about 2-3 at the top of the list for me, but I’m not sure I could settle on just one. It was tough enough picking a china pattern when I got married and the verdict’s still out on whether I made the right choice on that one. It’s a lot of pressure. On the Edgecomb Potter’s website, I saw that they actually have a wish list option. Clearly, I’m not the only indecisive person planning for someday. I can start virtually shopping even if I’m not quite ready for the purchase. And, if I change my mind. No problem. A couple of keystrokes and I’ll have updated my wishlist. The other great bit of news, for a window shopper like me, is that they have a store in Portland too so I don’t have to wait until our summer trips to Boothbay to go and admire their pottery. Although their flagship store in Edgecomb is still worth the trip. 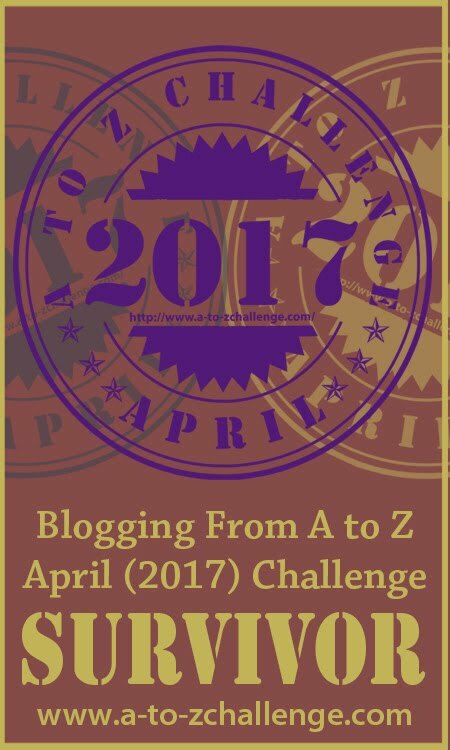 I’m participating in a Blogging A-Z Challenge for April 2016, where I will be posting new content every day except Sundays. Each post is associated with a letter of the alphabet. 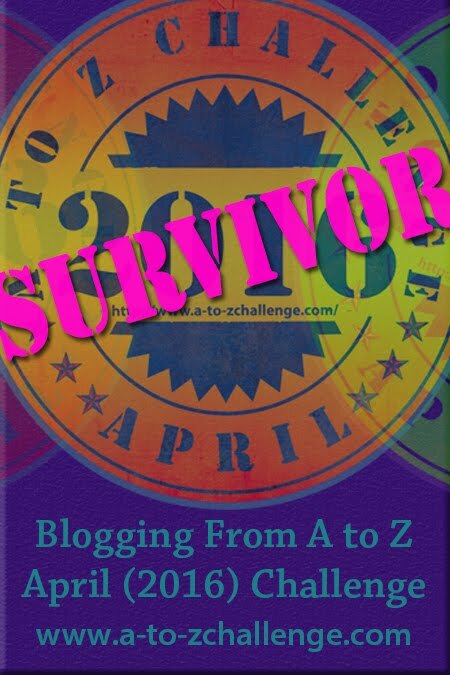 There are over 1200 other bloggers participating in the challenge. Click HERE to learn more. Potter is fun… it’s like having an empty canvas to work with. There are some really nice piece here! Yes, Edgecomb has some really cool things. I’ve never tried pottery myself although I have some pieces my girls did in a class one year. There are some great pottery classes around the Portland area. Maybe I’ll try one some day. I love that license plate lobster! It was an impulse buy but I’m really happy with it. I like the lobster, even if it isn’t pottery! And I love the fish plate – it really is whimsical. They have some really cool designs. So fun! I would love some extra space for some more fun plates. As it is, I’m already overrun with china and the like. I can’t help it, I love having pieces to use! The pottery looks lovely – I can see why it’s hard to choose, but I like the blue ones. Yes, the blue ones are definitely one of my favorites too. They really do have beautiful pieces. I would have a tough time decided, too. It all looks wonderful. Love, love, love the lobster! I am partial to my lobster too! They have so many really interesting pieces. I love going in there. That’s so awesome that you took a class. I’ve taken a lot of different art classes but for some reason I haven’t done pottery yet. I’m sure I will someday though – it looks like a lot of fun. I do need to jump in and get a few Edgecomb pottery pieces too. Life is too short! Love the lobster, and that pottery is GORGEOUS! I love the glazes they use. Such interesting colors and patterns. Window shopping and have a day dream about how the glaze will look can be more fun than buying one type!! You’re right, window shopping can be tons of fun too and it lets me “pick” them all.